Proenza Schouler has introduced a couple of stylish Bucket Bags before, but this time the detailing are completely modified. 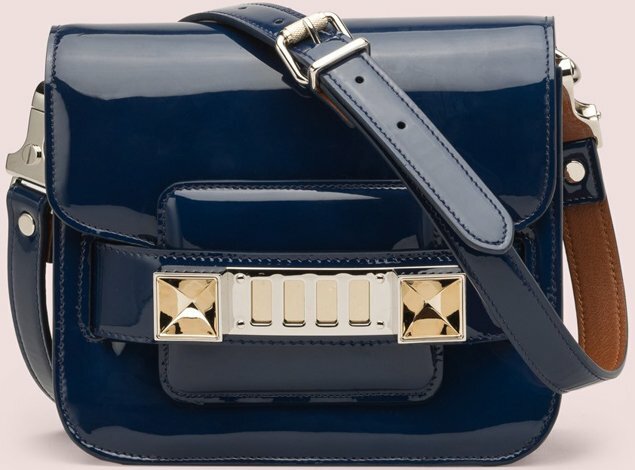 Knowing that there are plenty of Bucket Bags available, the Proenza Schouler Hex Bag differentiate itself by the whip-stitching. Crafted from smooth leather with hand-laced contrast whip-stitching, the exterior is designed with diagonal stripes. The appearance makes it the ideal urban elegant bag – with plenty of room, a fabulous look and don’t forget the impeccable leather which requires low maintenance. How about considering making this your everyday bag? 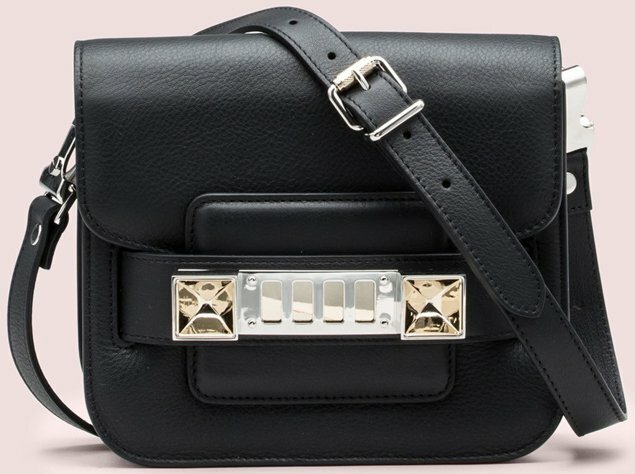 The custom chains adds a touch of chic to it while the leather cross body strap is made for the comfort. Sling it on your shoulder! The laces are individually bonded with painted edges; the interior opens with a toggle closure. You will find one large compartment inside for all your essentials; it can hold a lot of items. And oh yes, its made in Italy. Measuring 7’ x 7’ x 8.5’ inches (L x W x H), the normale leather is priced at €1250 euro, £1065 GBP, $8600 HKD via Proenza Schouler e-store or boutiques.